'MoBa Bb Mouthpieces need no introduction, after all, they''re played on major concert stages around the world. With twelve models in our line-up, finding your ultimate mouthpiece is closer or wider than you think. CRT '' The MoBa Camerata Bb Mouthpiece is an excellent choice for clarinetists performing closed-facing mouthpieces. Many players comment on this mouthpiece being ''reed-friendly,'' while possessing great control and flexibility. The CRT has a .99 tip opening and is comparable to an M13.,,LRT '' With a tip opening of 1.03, the MoBa Legend Bb Mouthpiece features an elegant, ringing quality, balanced by immediate responsiveness. This model is very popular with players of vintage French mouthpieces and is a good starting point if you like the M13Lyre and M15.,,TRT '' With similar playability and flexibility of the Legend, the MoBa Traditional, or TRT, allows for a larger column of airflow, which is excellent for solo or large ensemble work. The TRT has a tip opening of 1.09 and is comparable to a 5RV and 5RVLyre.,,ORT '' The Orchestra Bb Mouthpiece has a tip opening of 1.11. Designed for clarinetists with a developed air-stream and embouchure, the MoBa ORT Bb Mouthpiece is ideal for orchestral playing. The ORT is comparable to a 5RVLyre and M30Lyre. 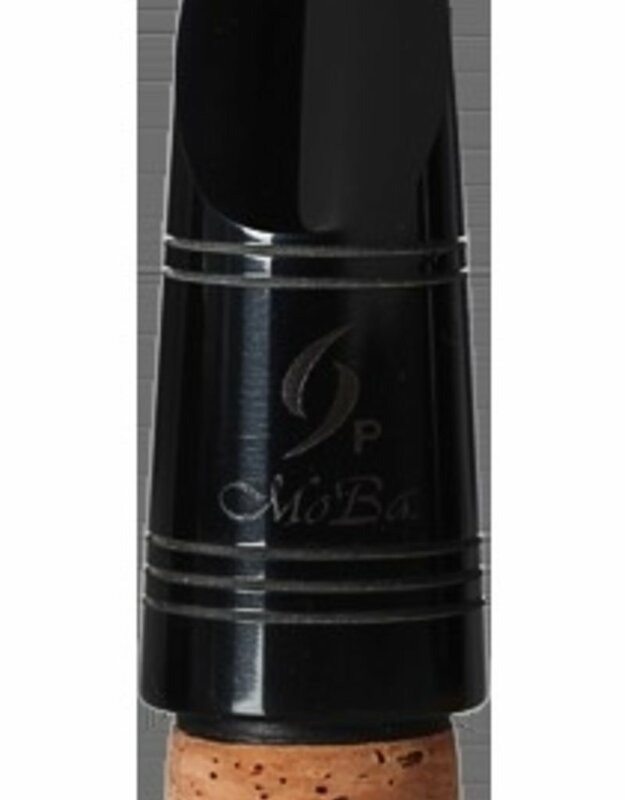 ORT+ '' Our most popular Bb mouthpiece, the MoBa Orchestra Plus model is the Bb mouthpiece of choice for clarinetists with a developed air-stream and embouchure. These mouthpieces are excellent for orchestral playing, with a tip opening of 1.12. The ORT+ is comparable to an M30,,PRT '' A very popular model in our lineup, the Philadelphia (named after Ricardo''s orchestra) has a tip opening of 1.15. With a wider tip opening, the MoBa PRT was designed to fill larger halls and, thus, requires a very strong embouchure and reed setup. The PRT is comparable to an M30 with a little more resistance.,,PRT+ '' With a wider tip opening and larger 1.17 facing, the MoBa Philadelphia Plus Bb Mouthpiece is a key component in Ricardo''s war chest. The PRT+ requires a very strong embouchure and is comparable to a B46 and B40Lyre.,,PRT2 '' Tuned to A=442, the MoBa Philadelphia 2 Bb Mouthpiece has a tip opening of 1.15. The PRT2 is comparable to a B46 and B40Lyre.,,PRT2+ '' With a tip opening of 1.17, the MoBa Philadelphia 2 Plus is nearly identical to the PRT+, while tuned to A=442. The PRT2+ is comparable to a B46 and B40Lyre. 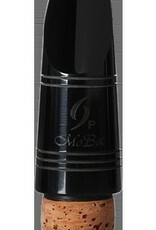 MET '' Designed with Jessica Phillips of the Metropolitan Opera Orchestra, the MoBa MET Bb Mouthpiece has a 1.18 tip opening. This model offers the clarinetist substantial projection and optimal resistance when larger works are on the program. The MET has no equal. ART '' Delicately named the Arabesque, this Bb mouthpiece has a tip opening of 1.19, but with a longer facing. The ART is perfect for those who play a B40 or B45 style of mouthpiece.,,ART2 '' With a tip opening of 1.19, but a longer facing, the MoBa Arabesque 2 Bb Mouthpiece is comparable to the B40 and B45 while being tuned A=442.